Posted on 9 Apr by Howie Law P.C. Although immunizations offer population-wide medical benefits, in rare cases, vaccinations can cause serious complications to develop. In the late 1980s, the National Vaccine Injury Compensation Program was created to ensure those injured by a vaccine can receive fair compensation for their injuries. Most vaccines and their associated complications are covered, but there is a deadline to file a claim, so it is important to learn all you can about the Vaccine Injury Program before proceeding with a claim. This is what you need to know. A 12-page vaccine injury table indicates the vaccine and complication types covered by the program. Your symptoms and diagnosis must match the illness, injury or disability specifications to qualify for coverage and compensation. In addition, you must have exhibited your first related symptoms within the given time period or your claim may be deemed invalid. The time periods for the various vaccines and complications range from a few hours to several months. Furthermore, if the administration of vaccines simply aggravated the related conditions within the given time period, you may still be eligible to file a claim. The vaccine injury claim process begins with a petition filed in the U.S. Court of Federal Claims. When filling out the paperwork, make sure to include pertinent information that precisely matches the eligibility requirements in the vaccine injury table. Court officials will review your paperwork to verify program eligibility and make a recommendation to the presiding officials. You may need to attend a special hearing after this point if the court needs additional evidence of the link between your symptoms and the administration of the vaccines in question. The court officials will decide if you qualify for compensation or if your claims will be dismissed. With dismissal, you may still qualify for the repayment of your court costs and attorney’s fees if the court orders it. From start to finish, this process can take several months or more, especially if any documentation is incomplete or missing. Be prepared to fight for your right to compensation in court before receiving a decision from the officials in charge of approving or denying your claim. For years, Howie Law, PC has helped people recover millions of dollars to compensate them for their vaccine injuries. 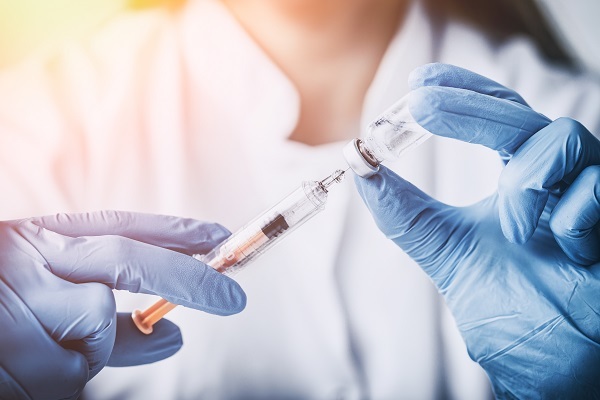 If you have suffered an injury from a recent vaccine, you can contact the team at Howie Law PC for help acquiring fair compensation. You can call us at 866-828-2028 or fill out our online form to receive a consultation appointment for your personal injury case.